The above chart shows hourly price action. 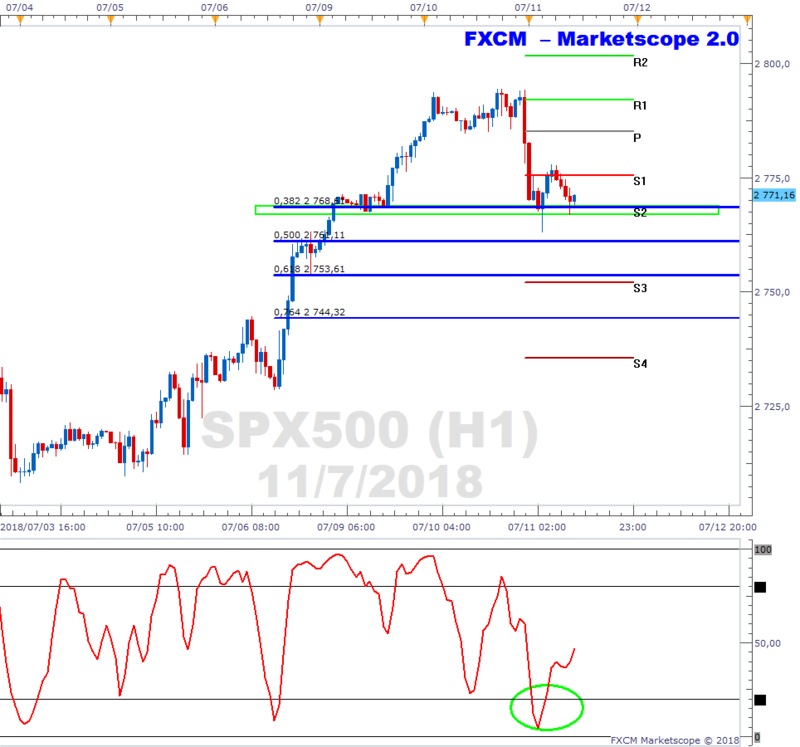 Key support may potentially be at the confluence of factors including the S2 pivot level, price congestion support (green rectangle) and the 38.2% Fibonacci retracement level. The stochastic has also started moving up from potentially buyer friendly levels (green ellipse). A pullback in the SPX500 may provide a “buy the dip in an uptrend” opportunity.